Q: How often do you use the notebook? A: I don't necessarily use them every day. My general process went like this when beginning something new: introduce new topic, add topic and page number to the table of contents. Make sure all your students number the pages of their notebook (front and back) at the beginning of the year. Then, students take notes on the topic or add a vocabulary list to the page (if it's a vocabulary topic). I do grammar notes and introduce vocab using PowerPoint presentations. After notes are finished, students add the foldable/flipable template or whatever interactive piece we are doing for that topic to their notebooks. This process may take a couple of lessons (depending on your class period length, what you want them to do for HW etc.). Q: Does everything you do in class get added to the notebook? Every single thing doesn't go in them (I made students have an additional pocket folder to store handouts/assignments not in the notebook). During the unit, they may sometimes add other assignments (like a dialogue or occasional book work) to the notebook if it could be incorporated well and could serve a purpose as a study tool. We also play games and do other speaking and listening activities that wouldn't be included in the interactive notebook. I DO have students do their Para Empezar (bell-ringers/warm-ups) in their INBs because I believe that these can be useful for study purposes. I save about 20 pages at the beginning of the notebook which they labeled "Para Empezar". Q: What are the benefits of using Interactive Notebooks? Do they help students? A: One of my favorite things about these notebooks is that students are creating an organized study resource. This is huge for students who have organization issues. They aren't digging around their backpacks for a page of notes on whatever. It also serves a a great review tool, so that when students asked a question related to something covered earlier in the year, I could tell them to look on page ___. It became their own "textbook", with condensed, organized info. Students often used the interactive pieces to study/review. They would express that it was more helpful and engaging than staring at pages of notes. For example, if they finished something early in class, they could go back and pull out a vocabulary matching game from earlier in their notebooks to play. This way, they can review previous concepts in a different manner in hopes of promoting more long term retention. 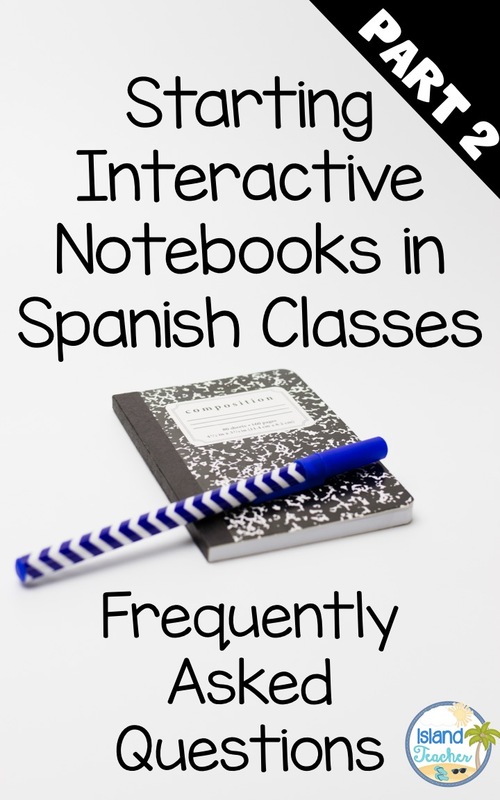 Jump on over to this follow up post on Essentials for Spanish Interactive Notebooks. I started using INB in Feb after getting fed up with students leaving binders in class (hiding them! ), losing papers, etc. I had my students buy in to it by telling them that they could use it on their final exam. I always had extra copies of inserts, we kept all files (handouts and powerpoints) on Google Drive and students could print out from home. I would take pictures of every page as we completed it and added it to Google Drive as well so they could see what each page was supposed to look like if they missed a day. I'm going to a training next week for INB and I look forward to getting more practical tips. I struggle with getting my students to work quickly with cutting/gluing/taping... and I had 8th graders! Do you mean training the students? ;) Just like any classroom routine or procedure, the key is to practice. I always model the activity before they complete it, by cutting and demonstrating in front of the class where to fold, write, attach, etc. Best wishes! Do you have your students take them home every day? Also our school requires them to carry a 3" binder with all their stuff for all their classes it in. I was planning on using spiral notebooks because they can put them in the binder. I am going to use INBs for the first time next term. This was very helpful information. You're the best! Do you have a listing of the pages you do put in? What kinds of games and speaking activities do you include? I would like to have a training in INBS. I'm in Houston. Do you know when is going to be one here? 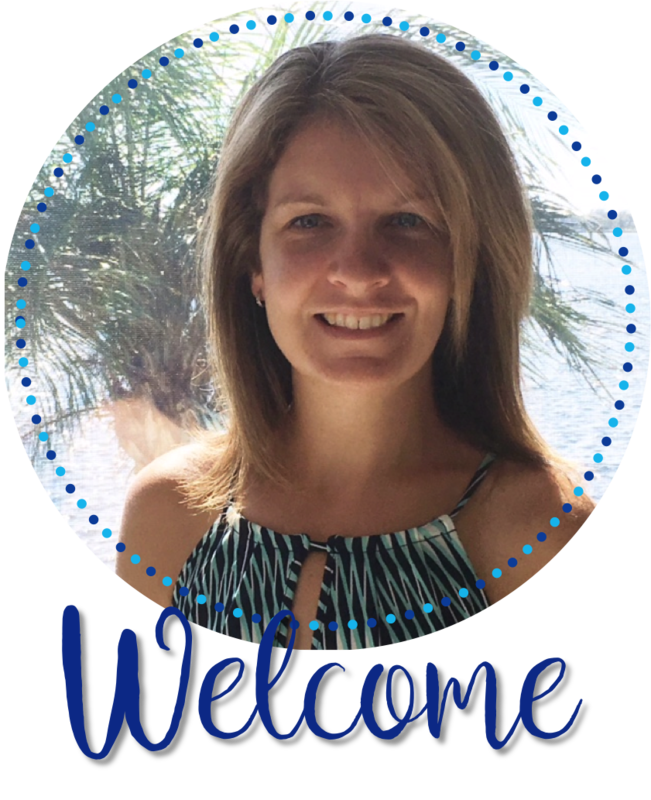 I love your idea of INB to help students be organized. It seems to be a lot of note taking grammar material and some students write really big how do you handle that with content pages? Hi! Thanks for commenting. Do you mean writing on the interactive templates? Sometimes this can be a struggle just because the templates have to be a particular size just to fit in the notebook. Like with anything else in the classroom, it just takes routine and practice. I do "test" all of the templates prior to giving them to students so that I can make sure that they are able to be used effectively and then I can also give them a reminder if they need to be cautious of how large the can write. They aren't generally writing lines and lines of notes though, just words or sometimes short answers on the activities. Hope that helps! I am interested in purchasing the bundle for our department. There are two of us. Do you have a notebook we can look at - a sample of what students work should look like at end of semester? Thank you SO much - your blog is so helpful! I'm planning to try INBs for the first time this semester (we're on 4x4 block, so I'm starting Spanish 1 with a new group of kiddos), and excited to purchase your bundle. :)) Hoping this will help my students stay organized! I would like to know what grade levels you teach. I teach Spanish K-5 in a FLES program. Are your inter-active notebooks and resources for elementary school? I've had many elementary teachers tell me they've used my interactive notebook resources. I have used some of them myself when I taught elementary Spanish a couple years back...mainly with upper elementary though, not so much the little ones. :) If you have any questions about specific resources, feel free to email me. islandteacherblog@gmail.com . Thanks!